Internet bullying is alive and well. It’s been happening to me on Quora for the last year and a half, almost since I opened an account there. It isn’t just a matter of being personally trashed online; it’s turned into an ugly case of being stalked and threatened, and continues in haranguing, slanderous posts and comment threads directed at me. I’ve written about the stalking experience in other posts on this blog and the information will be in the book. The original two people have picked up other members for their group, people who don’t know anything about the whole story, but have made up their minds based on what these people tell them about me. This is what happens to kids all through school, to adults in the workplace, and now to people online. 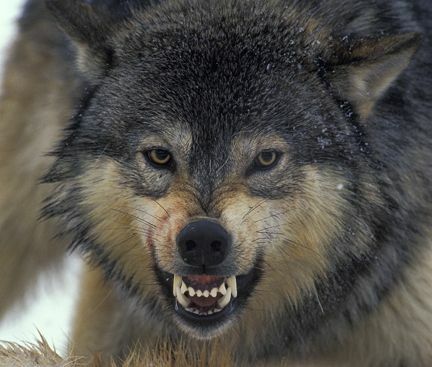 Internet Bullying:The Wolf Bites Back is the title of a book I’m working on for young adults and middle school kids. It’s up on Kindle now, but I’m overhauling it. The beat goes on and on and on, and on, on Quora, the social media site where I have met the enemy. He or she, could be anyone, crawling out from under a rock on any social media site. Just last week, a young friend from Quora had to deactivate and leave because some pervert kept harassing her with horrible sexual messages, even hacking her profile picture. One account would get banned, and he’d pop up with another one. She was practically in a full blown panic over it and a day or two later, came down with the flu, probably from the stress. She’s a Muslim woman, and I can only imagine the angst she must have felt. The harassment of my person is continual, and I’m very surprised people aren’t just flat out sick and tired of hearing the same old story about me being a narcissistic bully, among many other things. It has been played. The images I have to choose from about this subject are multiple, but I refuse to show any where the person being harassed is depicted as vulnerable. Yes, they are vulnerable to villagers with flaring torches who love to throw stones, but I refuse to be a victim, any more than circumstances dictate. Getting me or my friends banned isn’t going to solve their problem, which they seem to think is me. Friends send me screen shots of all the comments and posts concerning me, and I have the posts I’ve written here. Someone suggested a pamphlet for doctors’ offices after reading my post on being stalked, but I like the idea of a self-published book on Kindle, my go-to way of putting books out there. Kindle is free and open to everyone. I pay for covers and editing, so nothing is completely free. I’d be interested in finding out if middle schools would like someone to come by and give talks about internet bullying, harassment, and threats. I’m no expert, but I certainly have some experience. A friend on Quora sent me this. Kids often don’t have a clue how to fight back, and the attitude from the bullies turns to self-righteous victim hood every single damn time when someone decides to take action against their behavior. Don’t they get sick of hearing their own lies and whining? The logic escapes me, and it will escape kids, too. They’ll think school is teaching them all they need to know about bullying, but schools are failing miserably. A week ago, two kids, a beautiful young teenage girl, and an adorable, sweet 8 year old boy, both died at their own hands because they were being bullied, in person and on the internet. People not taking responsibility for their actions; claiming an emotional or mental liability as an excuse for bad or depraved behavior; abusing drugs to the extent that they’ve destroyed brain cells and then blaming other people for their lousy lives; crying about a ‘deprived or abusive childhood’, though they seem perfectly able to function adequately otherwise, like obeying other laws, paying their bills, raising children-godawful though their kids may turn out. And the biggest insult? Going on the offensive when someone fights back or defends themselves. In fact, that is exactly what and why these people are doing it to me: I had the gall to defend myself against their bullying. I’ve received multiple nasty messages from people they’ve spoken to, demanding I send back jewelry that I supposedly stole, when in fact, it was sent back within two weeks of the person it belonged to. By certified mail. It’s a fact that in America, the number one cause of stress is workplace bullying. And yet it’s being addressed at the school level? Someone is failing miserably in eradicating bullying. They’re trying to cure a disease with a watered down vitamin shot, and the internet has just given these people a free pass to be the worms they are. The research for the book is enlightening, and since my experience encompasses both a man and a woman, I’ve been stuck for an explanation for the concentrated hatred. It’s insanity in its own way, but insanity can be fought. It’s never going to stop, because many people ARE insane. No one will be able to figure out their thought processes especially if the person being bullied is at all normal, so don’t even try. It’s useless. I know there’s no such thing as ‘normal’, but I’ve always found the Golden Rule to be instructive and a darn good one to live by. There are remedies for the insanity though, and the sooner someone knows about them, the better. Off to think about the cover. Suggestions, polite ones, always welcome. Fantastic that you’re bringing attention to this Gigi, and I feel the book will beneficial to so many who suffer, some in silence. These poor kids are taking their lives at an alarming rate due to the bullying and it affects us all. It’s sad when people feel the need to resort to this pathetic behavior, and it’s disturbing to me that you personally have been targeted on Quora. And of course because I’m your friend and defender, I too have now been targeted, amongst others who have nothing to do with this. Creepy Martha is playing on the sympathies of this pack and they’re buying it hook, line and sinker. All she had to do was leave me alone, but she couldn’t do it because there’s something wrong with her. She’s stalking people in their PMs whining and pleading for them to get involved in trying to get mean Gigi and mean Mickey to talk to her again. This has gotten beyond annoying and way past embarrassing. What to do? Just keep writing Gigi because you have more talent in your little finger than they’ll have in a lifetime. Mickey, my friend, it’s okay. It’s good material for a book, and maybe it will help someone. I’m going to use all those screen shots. As usual your right on the beam my love. The Nasties just seem to go on and on and blame others for their deplorable behavior. You can only push people so far, even decent people must eventually say enough is enough. When this happens and steps are taken these Nasties just whine and cry about not meaning to do anyone any harm. I was just kidding or I didn’t do anything wrong,wa wa wa wa. Can dish it out but invariably can’t take it when it’s turned back on them. Dear MOTH Man (that would be man of the house man), you are right, as usual, but they don’t see it that way. Thank you for all your love and support, honey. Mmmphh! Quora is a place of bullies. Especially that chinese woman, feifei wang. Everyone who doesn’t agree with her will be targeted. I pity her, she must be so lonely and so unhappy in life that she must resort to bullying people online. Quora is nice only if you are at the bottom and not active, once u get depper, u will realize that the be nice be respectful policy doesn’t apply to everyone. Top writers get to ridicule you and send her soldiers of hate to harrass you. Reporting every single comment of you speaking up about being bullied. It is disgusting. They speak about free speech but any free speech that is not agreeing to them is reported. How hilarious. I have to agree with you. It has to stop with moderation and Quora, but I don’t know if they’ll ever have enough personnel to monitor every report for accuracy. I get reported frequently by someone for nothing, just for the pleasure of reporting me. I try to avoid those types of writers anyway, because I don’t like it either. There are ways to disagree that are polite and effective.